Is E=mc^2 an exclusively relativistic result? 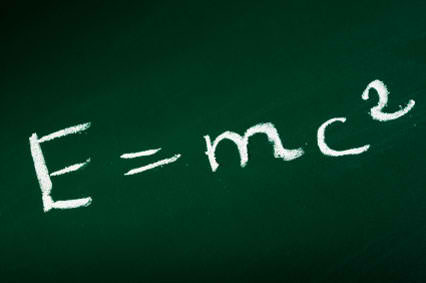 The mass-energy formula E=mc2 is thought to be derived by Einstein from special relativity. The present study shows that since the formula has also been derived from classical physics by Einstein, it is not an exclusively relativistic result. The formula is implied by the classical electromagnetic momentum P=E/c and the Newtonian definition of momentum P=mv. Like momentum P=mv, E=mc2 applies to both classical physics and special relativity, if relativistic mass is used in the equation. The derivation by Einstein in 1905 is logically flawed as a relativistic proof and the truly relativistic formula should be E=E0/(1-v2/c2)1/2 derived by Laue in 1911 and Klein in 1918. If the energy measured in one reference frame is E0, it is E=E0/(1-v2/c2)1/2 in a reference frame moving at velocity v relative to the first frame…. This entry was posted in RELATIVITY and tagged EINSTEIN. Bookmark the permalink.